As budgets shrink and headcounts freeze, there's greater pressure to do more with much less. In addition to managing traditional channels, marketers face the added challenge of learning to harness the power of new, low-cost social technologies - often with insufficient knowledge and resources. It's not just the rapid pace of change and the evolution of new tools that impact the marketing cycle today that are daunting. There's a new language to learn and new communication dynamics exist. There's a need for more technical knowledge, channel expertise and core competencies not present in the current skill sets of the enterprise. There's not only a need for new talent, but a requirement that enables them to challenge the status quo, rock the boat, test and experiment that may threaten or intimidate co-workers. There's a need for increased cross-divisional and departmental collaboration -- juxtaposed with the reality that marketing is often either not empowered or respected enough to drive effective integrated, collaborative and coordinated delivery. The unprecedented shifts of the last decade have left a host of traditional marketers and other executives very uncomfortable, and very afraid. Some companies are in denial. Other companies are stuck in a position of analysis paralysis -- unable to break out of the ice of inaction. The truth is, denial, fear, and inaction are our worst enemies! They are dangerous to both individuals and the organizations they serve -- and they don't have to reign in your organization. There's a bright new future ahead - and while change is required - it's worth it. Breaking past the fear -- we find ourselves in a place of revitalization, with amazing new capabilities and stimulating new ways to learn, promote our products and services. We find ourselves closer to customers, and more able to understand their unique needs as well as market opportunities. To succeed, it's not necessary to become a new marketing guru overnight (P.S. overnight gurus are not gurus at all!). It's possible to take things one step at a time and retrench the organization in a way that creates some order in the chaos. So let's get started. 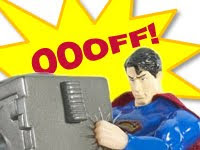 DISCOVER YOUR SUPER POWERS - It's easy to get caught up in "Aspirational branding." That is, the promises, stories and campaigns marketing creates. However, this is focusing on the wrapper -- not the candy. The good stuff is what your company does better than anyone else - this may be delivering unique products or services, or your ability to reach a unique market. There must be something your brand delivers better than anyone else. Examine your competitors. 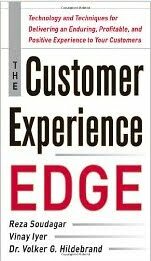 Study the customer and develop a clearer understanding of the pros and pitfalls of the customer experience. Define how your product or service makes life better for the customer. Write down your strengths clearly and succinctly, and keep a separate list of issues that undermine the customer experience so that you can address problems as you move forward. EXPLORE SOME SUPER TOOLS - Get on the learning track. Sign up for some courses, do some reading failures of others. Get yourself and your team learning about the host of new technologies that are transforming businesses today. If you don't have the expertise in-house, hire a consultant with an established track record to help you. As you begin to experiment with new tools (not just Facebook, or Twitter) and channels, it's important not to think of the tools as "marketing tools." Think of them instead as valuable channels supporting the extension of sales, service, support on the web. Champion these ideas within executive ranks. Dispel myths about Social Media, and help executive leadership understand key shifts (see chart above) in marketing, and the opportunities present in the new economy. Use the more educated leadership to help garner internal support. ESTABLISH MISSION CONTROL - Create an environment for collaborative planning, research, analysis, testing and strategy. This may be a center of excellence or a cross-organizational task force focused on improving customer-focused delivery. Focus less on ownership and control and more on support and facilitation across the enterprise. It's okay to fail - but fail fast and recover. Showcase key learning and present opportunities. With the help of executive leadership, invite other divisions to participate in proactive planning, research, testing and execution. Establish credibility by keeping the ego in check. Develop tutorials and communicate best practices in a manner that facilitates and encourages engagement. Share openly and provide value-added information (articles, information, etc.) that can benefit the entire organization within an accessible knowledge base. Publish knowledge and key learning in a proactive, timely manner (perhaps using a few Super Tools like Yammer or a password protected Wiki). Communicate upward, outward and downward, and celebrate success with hearty approbation. WIN (AND EARN) SUPPORTERS - Agencies and silos don't typically develop integrated customer experiences that drive long-term success. Long-term success requires winning the hearts and minds of divisions like Customer Service, Sales, Product Development, Operations, IT and other divisions to a new way of doing business. Hearts and minds are won best through servant leadership, consultative selling and listening - and Marketing can play a much more successful and influential role in rallying the organizations around the customer. New marketing requires the breakdown of operational silos, which is threatening to many stakeholders. Start by engaging in open dialog. Listen first! If they're already engaged in the use of new technologies, learn from what they are doing. If they're not already engaged, think of ways you can help, educate and facilitate. Discuss your learning, thoughts and plans in an open manner. Demonstrate customer centric behavior. Describe the potential and up-side of involvement in new, social channels. Show and teach - rather than Stand and preach! Repeat the call to "support and facilitate" and you will your organization through servant-leadership. NEUTRALIZE YOUR FOES - Getting past denial, fear and inaction - it's time to tackle the enemies of customer experience within your organization. Create a "wanted poster" of the biggest enemies to consistently positive customer experience within your organization. Work with the front-line, sales, IT, operations, product development and customer service to resolve these problems. While other teams resolve issues outside your marketing's purview -- create wins by extending service through new, cost-effective channels where it makes the most sense. Consider how you may user the Super Tools to create improvements in the experience that are remarkable. Respond quickly and with grace, celebrate positive feedback from customers. Work cross-organizationally to create a more integrated, cohesive customer experience that creates wins across-the-board. 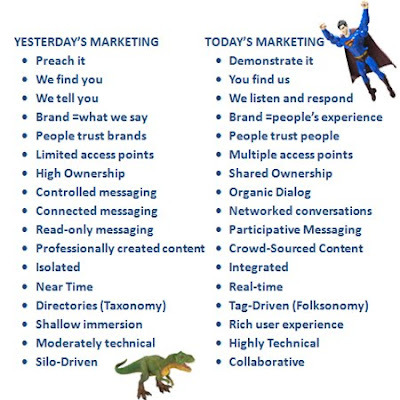 Marketers who follow these steps will develop powers they didn't know they could have. They will find new courage and strength and build greater influence within the organization. Most importantly, they will be properly focused: working proactively to improve and champion the customer experience, which results in a more positive brand identity and stronger outcomes. They will also begin enter the new era of Marketing, which is less about marketing and more about relationships, starting within the organization and working toward the best interest of the customer and the business. I've been talking to several good industry friends, we are concerned about the social media feeding frenzy that has ensued of late. Over the last few months, I've transitioned between disbelief to outrage several times over after seeing several self-proclaimed "experts" launch into initiatives like this. I formally started my career while boogie boarding on the "interactive / new media" surf in 1992, while I was still in college and working as an interactive designer / sales associate for a "virtual concierge" kiosk company that failed, never paid me and closed its doors. After graduation, I helped establish what became the interactive services division of 1-800-FLOWERS. We had little funding, worked on a ridiculous shoestring budget and we often pulled all-nighters. Our first "cutting edge" store was comprised of text descriptions of product - found within folder hierarchies of CompuServe. We offered 800 number ordering that we later converted to secure online purchasing. As rudimentary as it was, we sold product - thereby catching and riding the "Proprietary Online Service" or ISP Wave successfully. Very soon, we had created stores on every available online service, including Prodigy and eWorld and others. I remember the day Steve Case and Ted Leonsis came in to meet with our team. They said "We need your brand to build our own brand!" We inked a multi-year deal to become the first transactional merchant on America Online and the exclusive floral provider on AOL. I still have my "1994 AOL Roadshow" T-shirt from that visit in a drawer somewhere. As we experimented with kiosks, ITV, CDI/CDRom and PDA trials -- we saw something brewing that we thought would produce some really ncie waves. So, we grabbed our boards and paddled out to catch the Internet Wave. Frankly, our initial ride wasn't all we'd hoped. Our 4A's agency was clueless about the Internet, so we hired a company we met at a conference to build our first website. The "company" turned out to be two geeks who were college roommates -- operating out of their Manhattan dorm room. Shortly after our launch, had a fight: One principal took the hardware -- the other took the software and they left us holding the bag. We were wiser for getting bitten -- and we rallied with a better site. As we'd hoped -- our profit grew with the momentum of these waves. Within two years, we did $10 Million in sales in online commerce (a LOT of money back then) - and the number quickly grew tenfold. As I progressed in on in my career, I rode a number of other waves in the .com boom, serving blue chips and startups riding the digital marketplaces, B2C, B2B and B2E portals, "virtual communities" and other waves. One day, it was all about "community." The next day, it was all about online marketing or advertising. The day after that it was about search and SEO ... But it was all about waves and ripples -- ripples and waves. While the tide may have shifted a bit -- we're still in the same water, we're still riding waves and trying to describe the experience with new words. Today, we find ourselves in the waters of Web 2.0, Social Media, Cloud Computing the "Social Enterprise" the "Conversation Age" which looks toward the "Next-Generation Web" or (heaven help me for using this horrid term) "Web 3.0". The only difference is we've matured, along with technology - and there are more of us paddling around in the surf. 3. 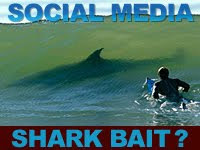 WITH THE WAVES AND THE BAIT, COME THE SHARKS. Those who have ridden enough of these waves can attest that historically, with each new tide, a different congregation of "experts" and agencies will surface. Some individuals are less smarmy and bottom-dwelling than others. However, they all circle the water like sharks, making it hard to distinguish the intelligent, harmless beasts from their more sinister counterparts. The Delegator can't build anything or deliver anything, but can talk a good game and "knows people"
The Mental Mentor is highly esteemed -- in his/her own mind. This hype driven expert creates other experts, through paid seminars, webinars, extended courses and certification in just "x" days for "x" dollars. Further, observation shows that many of these sharks also have Egregious Self Promotion Disease (ESPD). This renders individuals unable to stop talking about how wonderful they are - and how wonderful others think they are. I have noted that ESPD also produces an uncontrollable compulsion to self promote within every available online or offline channel - often to the exclusion of doing any real work (Note: Outsourcing to India doesn't count). The bad news is this: There's nothing we can do about the sharks. Simply put, the chum is in the water and they're not going away soon. The proliferation of so-called "experts," teachers, gurus, pipers, consultants, professionals, guides and mentors who want to help companies "DO" social media (or pick buzzword here) is growing proportionate to the rate of proliferation of apps, sites, services and tools. They are hungry to exploit the waves and make as much money doing it as possible. The good news is this: They're only dangerous if you engage with them! Wise up, tuck in your arms and legs - and be careful to avoid them. If you need help with digital or social media, find people or agencies that win a lot of work through word-of mouth, who measure their success based on what they've done for clients lately. Look for "seasoned surfers" from whom you can learn and engage the "young and talented" who are eager-to-learn and full of promise. Everyone you engage should be a smart, talented, passionate, excellence junky. They should have some sort of proven track record in digital media (2 years of Facebook experience is not sufficient!). They shouldn't just be knowledgeable, but humble and teachable. Make sure they will roll up their sleeves to work for you and with you -- helping you understand how to balance and stand on your own two feet. Make sure they understand integrated strategy and can connect your online and offline experiences for success. These folks will help you surf with caution -- and when you get up on the board they'll enjoy the ride with you (and not just at your expense). 5. C'MON IN, THE WATER'S FINE! The waves are good. The proliferation of sites, apps and tools keeps things challenging, stimulating, fun and interesting. The movement is opening up new ways to improve our businesses and relationships. The churn is fueled by cheap, accessible technology and the use of open source code. The winds are blowing, and there's no signs of slowing soon. So what's not to love? Grab your board. I'll see you in the water!